Let’s explore some of the fantastic nonfiction children’s books that have been nominated for 2018 Cybils awards. So many wonderful biographies were nominated this year. Because we only have a limited time to talk about them, I’m going to pair books about two women who have produced public art that has changed lives. In alphabetical order by the subject’s last name, first we have the picture book Ruth Asawa: A Sculpting Life by Joan Schoettler and illustrated by Tracie Van Wagoner. Ruth Asawa’s story could have been made into at least two books. She started out life as Aiko Asawa from Southern California. She was given the Americanized first name Ruth when she went to school. A short time later World War II started, and she and her family were taken to one of the Japanese internment camps. While inside, Ruth studied art and spent her free time creating. If the author had chosen, this could have been an entire story of its own. But there was more to Ruth. Once she was released, she used her experiences to create astonishing looped-wire sculptures and later on, public fountains. She became a renowned sculptor. You can see some of her amazing sculptures in this video. The tone of both the text and the illustrations are appropriately more subdued than some of the other biographies on the nomination list (for example, last week’s post). The brightest illustrations are the first spread, when Ruth was Aiko on the farm where she grew up and the last spread showing the beautiful Garden of Remembrance Ruth designed to honor the Japanese-Americans who were interred during the war. Black and white photographs of Asana and her work are included in the back matter. Ruth Asawa: A Sculpting Life will captivate readers interested in history and those who enjoy art. It is a perfect choice for women’s history month, too. Pick up a copy and be inspired today. Moving on in time, we have the middle grade title Maya Lin: Thinking With Her Hands by Susan Goldman Rubin. Not everyone knows, but the Vietnam Veterans Memorial in Washington, D. C. was designed by a young student of Chinese descent. The architect Maya Lin has gone on to shape many more breathtaking buildings and outdoor spaces. Abundant color photographs reveal Lin’s story and her projects, like a gorgeous two-page spread of the Storm King Wavefield covered with snow (see). The images give the book a vibrant, modern feel. They also make you want to go visit all the places she’s created. Of note: Susan Goldman Rubin shows Maya Lin’s talent didn’t arise from thin air. Do you know a budding architect or artist? Get Maya Lin: Thinking With Her Hands into their hands right now! Check out an informational video about Maya Lin and the Vietnam Veterans Memorial at Khan Academy (especially appropriate since today is Veterans Day). Disclosure: The books were provided by our local libraries. Also, I am an affiliate with Amazon so I can provide you with cover images and links to more information about books and products. As you probably are aware, if you click through the highlighted title link and purchase a product, I will receive a very small commission, at no extra cost to you. Any proceeds help defray the costs of hosting and maintaining this website. Looking for more children’s nonfiction books? 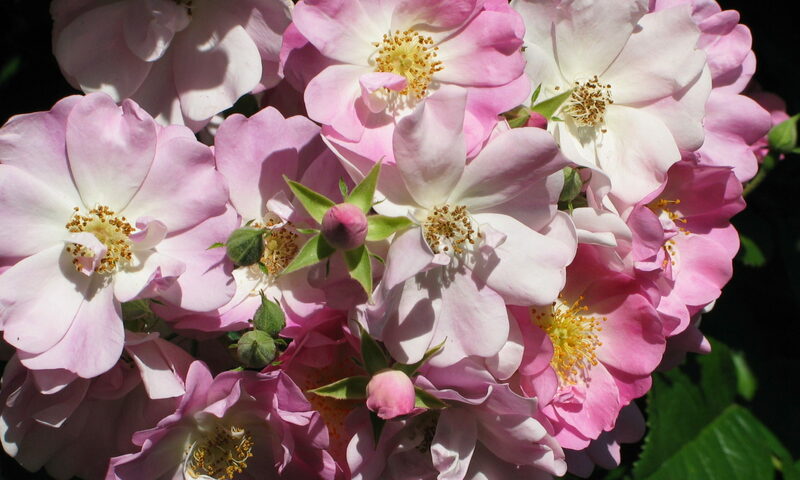 Try the Nonfiction Monday blog. What better way to learn about people who immigrate from Mexico to the United States than to read their personal stories? Let’s look at two sets of biographies nominated for 2018 Cybils awards, each with their own approach and voice. Artist and author Yuyi Morales stepped across the border from Ciudad Juarez, Mexico to El Paso, Texas in 1994. She writes about her experiences in Dreamers, the English version and Soñadores, the Spanish version. Dreamers/Soñadores is creative, dramatic, beautiful. The English text is enriched with gems of higher-level vocabulary (for example, “resplendent”) and Spanish words (amor, caminantes, lucha). It gives room for learning. The illustrations are gorgeous (Morales is a Caldecott Honor artist) and are full of symbolism. For example, the monarch butterfly on the cover represents an insect that migrates from Canada and the U.S. to Mexico and back. According to the author, the snakes represent difficulties in one’s path (see her explain some of the symbolism in this YouTube video). The core message not only reveals the trials and joys of coming to a new place, but also celebrates the importance of books in easing the transition. We are all for promoting/celebrating books! Check out the extensive list of books (45+) that inspired the author, such as Freight Train by Donald Crews. Read Morales explanation in “My Story” that the tile of the book isn’t a reference to undocumented immigrant children who were brought to the United States — as the word is currently used — but has the broader meaning of imagining a better future. “How I Made this Book” lists all the things she photographed and scanned for the illustrations. Send readers on a hunt to see if they can spot the items listed. Dreamers/Soñadores is a complex and vibrant book. It will appeal to many different readers for many different reasons. Share a copy today. In contrast, Deborah Mills , Alfredo Alva, and illustrator Claudia Navarro use a bilingual approach with La Frontera / The Border: El viaje con papá/ My Journey With Papa, displaying the Spanish and English sections on the same page. La Frontera takes the reader on the arduous and at times frightening trip made by a actual immigrant child. Over thirty years ago Alfredo Alva moved from La Ceja, Mexico to Texas with his father because their family had no means to support themselves. They waded/swam across the Rio Grande when Alfredo was only eight. At first, they lived in an old bus and Alfredo went to school while his father worked. Alfredo’s father gave him a $100 bill to carry with him at all times. It was for the bus fare back to his mother if he was ever deported without his father. Although this is a picture book according to Amazon, the text is much denser than for Dreamers. There are two or three paragraphs of Spanish and then English on each two-page spread. This allows the story to unfold more fully, but puts it closer to a middle grade title. The acrylic, graphite, and digital collage illustrations complement the story well. The back matter has black and white photographs of Alfredo and his family, plus a map of their journey. La Frontera is children’s biography genre at its best. Young readers are likely to come back to it again and again. Disclosure: These books were provided by our local library. Also, I am an affiliate with Amazon so I can provide you with cover images and links to more information about books and products. As you probably are aware, if you click through the highlighted title link and purchase a product, I will receive a very small commission, at no extra cost to you. Any proceeds help defray the costs of hosting and maintaining this website. Today we have the inspiring new picture book What Do You Do with a Voice Like That? : The Story of Extraordinary Congresswoman Barbara Jordan by Chris Barton and illustrated by Ekua Holmes. Barbara Charline Jordan was born in Houston, Texas in 1936. Before long, she was known for her oratory skills. She recited poetry and gave speeches in school. After she graduated from law school, her speaking skills led her into politics. Eventually, she was elected to the U. S. Congress where she fought against discrimination. You can hear Barbara Jordan’s voice in the rhythm of Chris Barton’s brilliant text. That big, bold, booming, crisp, clear, confident voice. It caused folks to sit right up, stand up straight, and take notice. The alliteration of the adjectives adds to the effect. “What do you do with a voice like that? Ekua Holmes’s mixed media illustrations capture the time, which was the late 1960s and early 1970s. They are as bright and bold as Barton’s text. The back matter consists of an author’s note and a two-page spread time line. In it readers discover that Barbara Jordan, who retired early from public service because she had multiple sclerosis, died too young at 59. What Do You Do with a Voice Like That? begs to be read aloud. Pull it out for Black History Month, for Women’s History Month, and for all the months of the year. Barbara Jordan’s voice should be remembered. Check YouTube for some of Barbara Jordan’s speeches. Sidebar: How long does it take for a book to be published? In the back matter, Chris Barton says he started writing the book in 2013. On his blog, he announced he had sold the text to Beach Lane Book in September of 2015. The book was published last month on September 25, 2018, the final step in a five year process! Disclosure: The book was provided by my local library. Also, I am an affiliate with Amazon so I can provide you with cover images and links to more information about books and products. As you probably are aware, if you click through the highlighted title link and purchase a product, I will receive a very small commission, at no extra cost to you. Any proceeds help defray the costs of hosting and maintaining this website. Looking for more children’s nonfiction books? Try the Nonfiction Monday blog. (Note: this is a new URL for October 2018). Have you nominated your favorite children’s books from the last year yet? 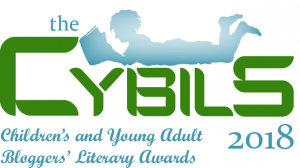 The Cybils nomination window ends October 15, 2018. Learn how to nominate at the Cybils blog. The New York Times bestseller Little Leaders: Bold Women in Black History by Vashti Harrison has already been nominated for a 2018 Cybils award in the Elementary/Middle Grade Nonfiction category. Vashti Harrison wanted an outlet for her art and also wanted to do something for Black History Month. The result began as a series of posts on Instagram and grew into this wonderful collection of 40 short biographies of groundbreaking women. Each of the women is represented by a two page spread. One the left side is a three to four paragraph summary of the woman’s life and accomplishments, and accompanying it is Vashti Harrison’s unique illustration on the right. As has been mentioned in other reviews, the artist gives each figure a gentle smile and downcast eyes. They remind me of Simon Basher’s illustrations. When my son was in third grade, it was the tradition in the school to present what they called a “wax museum.” The students dressed up as a figure from history and lined up in the hallways. As families and friends walked by, the students gave a short speech about the person they represented. Too bad this book wasn’t available then because it is an incredible resource for student projects like that one. Little Leaders introduces children to many inspiring women who they might not have previously heard about. Harrison has done a great job covering women from a variety of backgrounds, too. Little Leaders: Bold Women in Black History will be enjoyed by children and adults alike. It deserves a place on every shelf, although it isn’t likely it will stay there for long before someone picks it up to read it.